Gender inequality is still a defining aspect of law enforcement, even in today’s world of slowly increasing employment fairness. 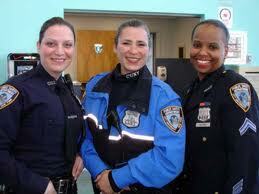 Women comprise only a small percentage of the local law enforcement in agencies across the nation. Though their presence in the police force dates back to the beginning of the 20th century, it’s only been noticeable in the past 40 years. In the 1970s, women accounted for roughly 2 percent of sworn officers, with most of the women holding clerical positions. Yet, despite progressive legislation aimed at procuring gender equality in the United States, women today make up only 13 percent of the force, most significantly in larger departments. Women in law enforcement are often inexplicitly resented by their male counterparts and many face harassment. Additionally, many women encounter a ‘brass’ ceiling and are unable to rise to supervisory positions despite their qualifications. Many women do not even try to reach these positions because of fear of oppression from male coworkers. Few women receive the guidance necessary to overcome this obstacle; however, the National Association of Women Law Enforcement Executives (NAWLEE) has been working hard since 1995 to mentor women in executive positions and help guide new female officers to grasp the opportunity to achieve these leadership roles. Their president, Commander Kristen Ziman of the Aurora (Illinois) Police Department who has endured the hard process of becoming an executive, shared her experience as a woman in law enforcement and her recommendations to others starting this difficult journey. When Commander Ziman became a police cadet in 1991, women in the Aurora Police Department had not advanced beyond the rank of patrol officer. While the inequality did not figure into her decision, she also did not aspire to obtain a leadership position. She was conscious of the minority situation, and was the only woman of six officers to enter the department in 1994. While at the police academy, she felt that she and the other women in her position often “needed to prove [them]selves.” Whereas their male counterparts were easily accepted, the women were automatically considered inferior and only seemed to be able to change this perception by showing the men otherwise. The women in the academy were watched more closely and felt they were expected to do something incorrectly. Yet, in her experience, the moment that competency was proven, much of the inequality faded away. But some still remained. After three successful months of training, the head of the academy met with Commander Ziman and her Field Training Officer. The FTO was asked if Ziman had ever been in a fight. Ziman had not, but her FTO said that she did not need to prove herself that way because of her ability to talk through a potentially dangerous situation. Ziman was later informed by her FTO that such a question was never asked of the male cadets. Ziman was very fortunate in that there weren’t many similar incidents during the course of her career. She simply tried to do her job and do it well, and as a result, her competency was not questioned. Ziman was the first female lieutenant, and later commander, in Aurora city history. According to her, at this level, gender is rarely an issue. Rather, every leader is being watched by both the officers and the general public. During her years spent rising through the ranks and since attaining her current role, Ziman has helped to promote gender equality. She has done her best to mentor fellow female police officers and, with the help of NAWLEE, has successfully aided women who were motivated to reach the executive level of law enforcement. Though she acknowledges that each gender tends to have special skill sets, the best person for any job should have that job. One skill set women often have is that they are more able to communicate with fellow citizens. Ziman believes that “women really have the gift of influence” and recalled that she had “to talk [her] way out of things” when violence could have ensued. However, Ziman also knows many men who are very good at communicating. As the president of a mentoring organization, Ziman is tasked with guiding fellow women in law enforcement. In discussing herself and fellow women around her, Ziman expressed fear that “we hold ourselves back.” If women do not have the dedication to climb the ranks of law enforcement, they will rarely succeed at making the climb. Women need to “forge [their] own path, [for they] truly are responsible for [their] own career.” Yet Ziman understands one of the main reasons why so few women have the necessary aspirations: The hard work hours required of a law enforcement executive do not mix well with family obligations. Ziman often suggests that women find a supportive partner who will help them reach their dreams by easing the strain of the many hard work hours. Although she understands many women’s dilemma, she does believe that more women are necessary for a police force to function properly. The police’s first priority is to “emulate the community we serve.” Thus far, the small percentage of women on the force impedes this from happening. 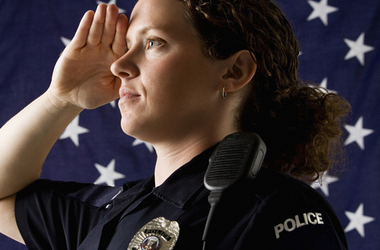 The discrimination women in law enforcement face today may not be as extreme as it was, but it is still a problem. “Some of it is self-imposed, presently,” but improvement is still possible. Ziman recalled that her first FTO was a woman. Without describing the unpleasant events the FTO had experienced in previous years, Ziman noted that it was “unmentionable, the things that happened to her.” Also, the men “didn’t want her to be there” and would exclude her from office activities. Accordingly, the FTO had developed a strong feeling of resentment toward her profession. Despite these common past occurrences, Ziman claimed that women today, just like men, are responsible for their own careers. They need to be assertive and listen to the voice inside of them urging them to strive for success. Ziman waited, like many women do, to rise in the ranks. She was told to take the sergeant’s test rather than seeking out the opportunity. And many women unfortunately fear being ridiculed by male coworkers if they attempt to reach the executive level. 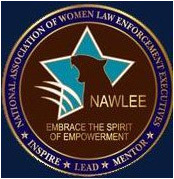 Since its creation in 1995, NAWLEE has quickly grown into a national organization, guiding and helping women in law enforcement around the country. Its staff, headed by Commander Ziman, is composed of fellow law enforcement executives working to address gender discrimination and end the inequality that pervades the profession.